For every publisher, advertisements are a key source of revenue. Similarly, on Blogger.com Platform, various advertising companies allows to place ads on your blogs, but it is equally crucial to check the authenticity of the ads that are being displayed on your site. Verifying the authenticity of advertisements can be made through Ads.txt files. To avoid frauds or viruses, Ads.txt aims to secure both the publisher and the advertiser from any unavoidable circumstance. 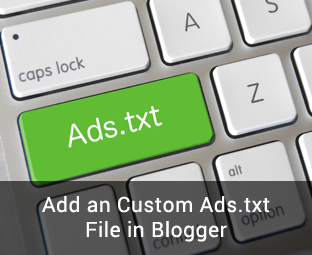 In this article, we will describe How to Add an custom Ads.txt File in Blogger BlogSpot. 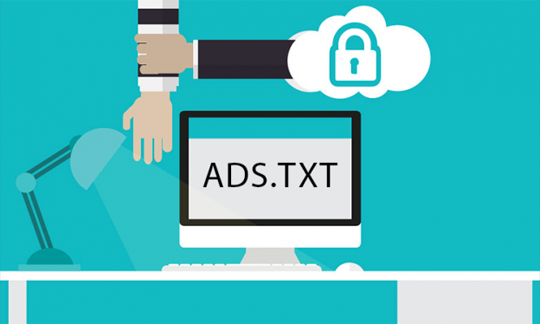 The “Ads.txt” file carries information about different advertiser networks which are authorized by the website owner, and these advertisers or ad companies can show their ads on your website. The idea behind using ads.txt file is to avoid placement of fraud and false ad placements from unknown sources. Ads.txt file helps buyers in choosing authentic sellers and publishing authentic ads on their blog, website or any publishing medium. Why To Use an Custom ads.txt File? It's a technological advancement tool that is protecting digital ad market by bad players who are working on arbitrage (buying low-quality slot and publishing on the premium content website). For example, a fraudulent entity can buy a low-value ad slot on a low-quality website and can post it on a premium content website like bbc.com. Such attempts make it more challenging for ad fraud scammers to sell counterfeit inventory. In this tutorial, we will describe you how to implement ads.txt file on your blog using Blogger.com. 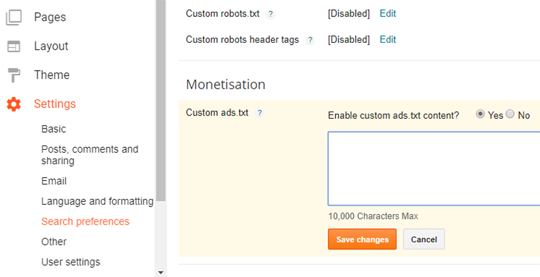 Now under monetisation, you will find an option to enable custom ads.txt file for your blog. Just click edit and then select yes option to enable custom ads.txt content as shown in the screenshot below. 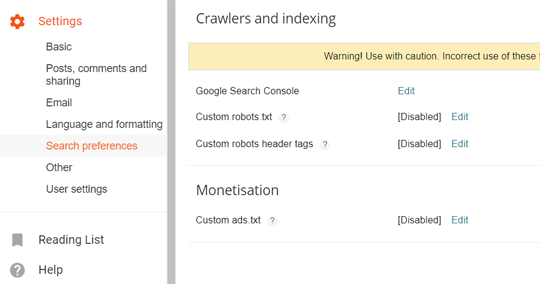 After enabling your ads.txt file, a text box will appear, copy the ads.txt settings from your third-party monetization platform and paste it into the text box to link your ad monetizer with blogger. Once everything is done, click save changes. That's it your ads.txt file is now live on your blog. You can visit you ads.txt file by going to www.templateism.com/ads.txt. 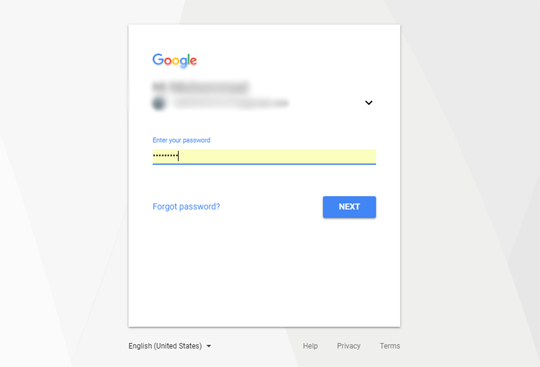 Note: Do not forget to replace templateism.com with your domain name. If you have followed our instruction carefully, you will be able to see your advertiser's accounts or information that you added in your ads.txt file, similar to one as shown in the screenshot below. We hope this tutorial has benefited you in learning how to add an ads.txt file in blogger Blogspot. Let us know what are your impressions on adding an ads.txt file on your blog. Whats the theme you use....very simple n nice for blogging.. This is a custom built blogger template, you can find free blogger templates at our sister site Templateism.com. If you want us to develop a unique template for you then feel free to contact us at support@mybloggerlab.com.